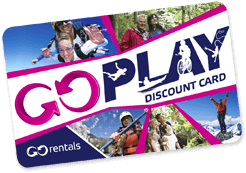 GO Play is a discount programme run by GO Rentals which offers customers discounts at over 200 activity, accommodation and restaurant options New Zealand wide. 2Do I have to pay for my GO Play discount card? Your GO Play card is FREE when you hire with GO Rentals. 3How do I get my GO Play card? Your GO Play card is given to your when you pick up your vehicle. 5Where can I use it? Use your GO Play card at over 200 activity, accommodation and restaurant options. Check GO Rentals brochure maps or check web listings for further details. Plan your journey with your GO Play map or on your GO Rentals app. 7Can I book activities and accommodation before I pick up my vehicle and GO Play card? Book direct with the GO Play activity, accommodation or restaurant option you choose and mention your GO Play card. 8How do I book activities and accommodation? Plan your journey with your GO Play map, on your GO Rentals app or online at gorentals.co.nz/go-play Book direct with the GO Play activity or accommodation option you choose and mention your GO Play card Show your GO Play card when you pay to use your discount. NOTE: Selected activities and accommodation can be booked online, check web listings for further details. 9Can I book activities and accommodation online? Selected activities and accommodation options can be booked online, check web listings for further details. 10Do we have to have one card for each person in our group? One GO Play card can be used for individuals or small groups travelling in the same vehicle. You can ask for an extra GO Play card when you pick up your vehicle. 11How many people can use the card at one time? 12Does the card have an expiry? Your GO Play card does not have an expiry. 13Can I keep the card? 14We are two families travelling together can we get more than one card? 15I lost my card, how do I get a new one? You can pick up a GO Play card to replace your lost card an any Go Rentals branch. 16Do I get any other information with my card? Yes. 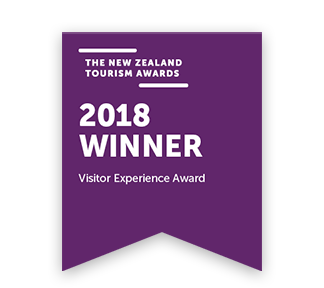 When you pick up your vehicle you will be given your GO Play discount card and information on GO Play discounts at activities, accommodation and restaurant options New Zealand wide. 17Can I download a GO Play app? Yes. GO Play information is included in GO Rentals app. 18What if I want to give feedback on the GO Play program – how do I do this? 19I have a tourism business, how do I join GO Play?